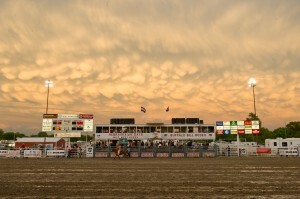 The Buffalo Bill Rodeo Committee was inducted into the PRCA Hall of Fame in 2008, a recognition of the years of work it has taken to maintain the Rodeo as one of the premier events on the Prairie Circuit. The Committee is made up of 12 volunteers who plan the event on a year round basis. Their love of the game can be traced back to their childhood in many cases. They are led by co-chairs Jack Morris and Shelli Arensdorf. Other current members are Hank Knisley, Jerry Woodruff, Larry Gosnell, Marty Peterson, Jeremy Dezort, Ben Lashley and Jerry Thompson. Not pictured are Jeff White, Levi Fisher, and Justin Thompson. The Wild West Arena is fixed just North and West of North Platte’s city center on Buffalo Bill Avenue near Colonel Cody’s Scout’s Rest Ranch. The ground itself was once owned by Cody and his family. Documents indicate that this parcel of land was mortgaged several times in the late 1800’s. The timing of the mortgages suggest that Cody may have been improving his cash position as he was preparing to take his famous Wild West Show to Europe. The parcel was purchased by the Nebraska Game and Parks Commission in 1971, and the arena was constructed in 1972. In the last several years, it has undergone major renovations to its livestock holding facilities with the help of the Lincoln County Visitors Bureau. The Beutler and Sons Rodeo Company has been providing stock to the Buffalo Bill Rodeo for well over 50 years. Bennie Beutler was inducted into the Pro Rodeo Hall of Fame in Colorado Springs, Colo. in July of 2010. The famed stock contractor from Elk City, Okla., is the third generation of Beutlers to be in the stock contracting business. Beutler and his son Rhett make up the Beutler and Son Rodeo Co., which provides bucking horses and bulls for rodeos across the nation. The company has had animals selected to buck at pro rodeo’s world championship, the Wrangler National Finals Rodeo, for nearly every year of its six decades of existence. 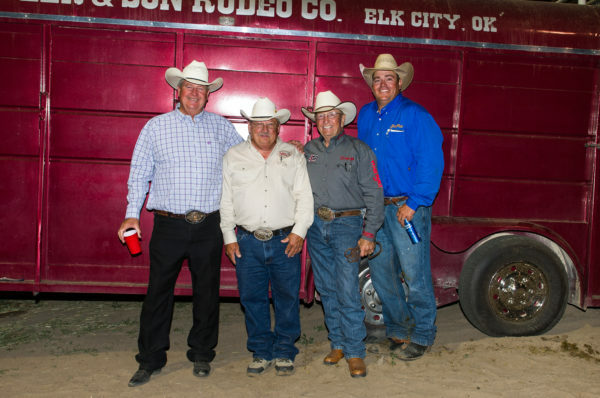 Bennie Beutler and son Rhett have joined together to carry on the family business that began in 1929 when brothers Elra, Jake, and Lynn Beutler began providing stock to rodeos. Jake and Lynn kept the sibling business running in a similar form, but Elra eventually teamed with son Jiggs to form the original Beutler & Son.